This week has been completely off the rails, with all my best-laid HIMSS preparation plans left undone. There’s nothing like five inches of mucky wet snow, flight delays, and a case of pinkeye to throw a girl off her game. Luckily I made it home, saw one of my partners for some eye drops, and am now playing a frantic game of catch up. The pre-HIMSS news cycle is pretty slow. There was a flurry of mailings earlier in the week, most of which were nondescript post cards that wouldn’t lure me to a booth. Today there was nothing, but there will always be those post-HIMSS straggler mailings to look forward to. Several readers have been sending me their shoe pics, wondering if they’ll give them a proverbial leg-up on the competition. There’s even a HIMSS Style 2016 board on Pinterest, with suggestions for both ladies and gents. 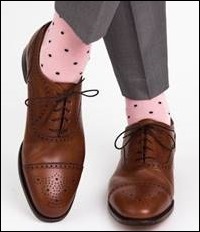 I do like the pink socks and fetching wing tips pinned from www.dapperclassics.com. Another sent me a pic of this two-heeled number from Christopher Dixon, which are supposed to be extremely comfortable. They’re also tech savvy, using Silicon Valley partner Chronicled to ensure authenticity. Shoes are tagged using a microchip and registered from a mobile app, allowing a future secondary market for non-knockoffs. 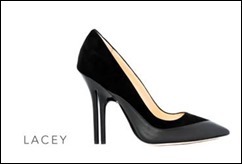 Accessing the shoe’s chip via the app also displays a story about the inspiration behind the shoe and the sourcing of its materials. I doubt we’ll see any on the show floor, but a girl can dream. I’m putting together my final social schedule for next week. Unfortunately, there are way too many events on Wednesday night and too few on Tuesday night. Most of the vendors who are hosting events are either gracious enough to allow public registration or are swayed by the MD accompanying my generic-sounding practice name. I did have one of them question exactly how I received their invitation since it didn’t match their list. I had to just ignore it because I couldn’t exactly say, “Well, someone on your marketing team thought it was worth inviting Dr. Jayne.” One vendor offered to add me to its attendee list if I would send my real name – nope, not happening. If you have an event on Tuesday that’s open to all readers, let us know. We’d be happy to have a member of the HIStalk team cruise by if time permits. I tried to attend a Google Hangout this week, where NCQA was going to talk about the pilots for their redesigned Patient-Centered Medical Home program. The audio from the moderator’s PC was so bad that people couldn’t hear, which turned some attendees away. There were also a lot of people who weren’t muting their own microphones, adding to the problem. Once the featured speakers started their talks, things got better, but it goes to show that Web conferences still can be tricky for a lot of people. At least the comments were fun to read. I followed up after with one of my friends who does a lot of PCMH consulting work. She’s personally steering people away from NCQA, not only due to the complexity of their process, but also the growing fees. I haven’t had a chance to look at their new measures in depth, but she has seen them and thinks there are a few in there that are nonsensical. Looks like I have some reading to do. CMS shut down the Medicare/Medicaid EHR Incentive Program attestation website over the weekend to correct an error preventing Eligible Professionals from claiming an exclusion for one of the measures in the Patient Electronic Access Objective. Those whose attestations were rejected previously must resubmit their information. ONC has released a new Health IT Buzz post about “The Real HIPAA,” giving examples from care coordination and case management. This should be required reading for all the people who continually try to use HIPAA as an excuse not to share patient information when it is clearly permissible. The next installment is slated to cover Quality and Population-Based Activities and I’m looking forward to seeing what they have to say. If you’ll be in Las Vegas next week and are interested in giving feedback to CMS, they will be hosting three Design Lean Planning Sessions during HIMSS. The goal is to receive feedback on the Merit-Based Incentive Payment System (MIPS). Sessions are one hour long and will be held March 1 at 2:30, March 2 at 2:30, and March 3 at 11:30 in the CMS Meeting Room, Venetian Level 4, Zeno 4603. Space is limited and you must email with your session choice, name, title, role, and organization to register. Another reader recommended I not spend too much time at HIMSS job hunting, suggesting that I consider a position in New Zealand. 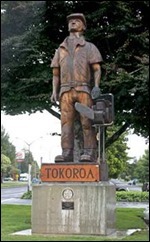 They’ve been trying to recruit a primary care physician for more than two years with no takers. The position has good compensation, no nights or weekends, and 12 weeks of holidays. I’m not ready to live in the southern hemisphere, but a nice locum tenens gig might hit the spot. Unfortunately, he’s been inundated with applications of dubious merit, so he probably won’t see mine. My week also went askew thanks to the usability efforts (or non-efforts) of Microsoft, who decided in their infinite wisdom to “update” Office 365 with a feature that completely broke my workflow. I have been enjoying my Surface tablet, especially the Surface Pen, which I use in lieu of a mouse or the touchpad on the keyboard. I have been working on a huge editing project (textbook chapter, anyone?) and two days ago the pen stopped working as a selection device and only worked for annotation. Using classic user psychology, I assumed I had done something wrong or activated something unknowingly. I immediately knew better when I did a Google search and typed “Microsoft Surface Pen” and it automatically suggested adding “stopped working” to the search. Apparently Microsoft engineers decided we no longer want to use a pen or stylus for anything but annotation — the pen is now locked in Ink mode while using Office products. Although there appears to be a button to return it to selection mode, it doesn’t work. Multiple users have already weighed in on a Word suggestion forum that there needs to be an option to go back, with several comments from people who used the pen as an accessibility and adaptation tool to help with physical limitations. I use mine with the keyboard, so I can use the touchpad even though I don’t like it, but I truly feel for those actually using it as a tablet. Having to use the touchpad reduced my editing productivity by more than 50 percent. Even worse, the on-board Microsoft Help seems to brag that the “select objects” button (which should turn inking off) no longer works. 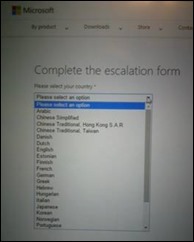 The Microsoft Answer Tech gave me an escalation link that wasn’t customer facing and the escalation site shows they don’t know the difference between a country and a language (featured above). Help a girl out by sharing the link and helping us tell Microsoft they’re offending their users. If I scurry home from HIMSS, I’ll still have two days left in my return window to offload it. I won’t post again until I get to HIMSS, If I have to ditch the Surface, what’s your advice on a tablet? Email me. Re: stylus selection. I’m guessing there is a scenario that the engineers were overly focused on improving that they totally missed all of the other common workflows they would be breaking. As a developer I know I’ve been guilty of this once or twice before, and it is sometimes hard to weigh the pros and cons of each choice even if you are aware of all workflows. But with that said, it seems like a huge miss since they created a button for re-enabling that workflow and didn’t bother to make sure the button works.